Dave Smith Alfa Romeo is proud to bring Italian cars to the Dave Smith Motors family of dealerships. Dave Smith Motors is a household name in North Idaho because of our long history in the region. 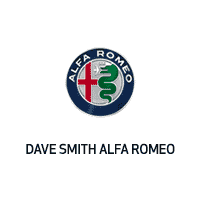 Dave Smith Alfa Romeo is located in Coeur d’Alene and joins the other brands that Dave Smith offers at dealerships in Kellogg and Coeur d’Alene, Idaho, and in Spokane, Washington.